Arturia DrumBrute Impact is an all-new analogue drum machine, with booming low-end, slinky hats, and analogue drive onboard. It features full-size controls in a compact package and a sound of its own, and all for a remarkable new price point. SOUNDS HUGE: 10 all-new analogue sounds with pounding impact, each sound has a 'color' variant. Extreme low-end and analog drive built-in. It sounds genuinely remarkable. BUILT FOR PERFORMANCE: Full-size controls and pads for live improvisation and performance. Polyrhythmic sequencing and full MIDI/USB/Analogue clock I/O. Four individual outputs (five total) for separate processing and tracking. 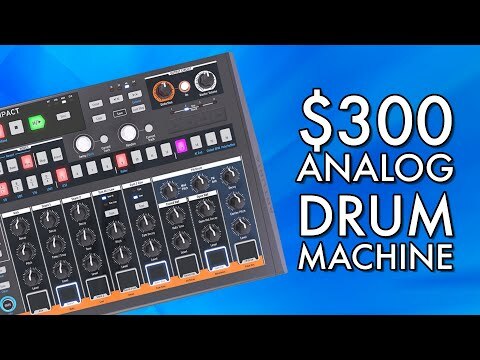 Considering purchasing the Arturia Drumbrute Impact? Have questions? Ask people who've recently bought one. Do you own the Arturia Drumbrute Impact? Why not write a review based on your experience with it. Seen a video for Arturia Drumbrute Impact online or have you own video? 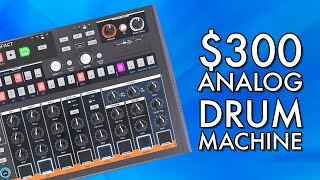 Check out Arturia Drumbrute Impact on DJkit.com!